A vacation to the Dominican Republic is full of unique family adventures and all-inclusive rejuvenation. Tour sugar cane fields and cigar factories. Experience Santo Domingo monuments and museums. Set sail on turquoise waters toward the exotic Saona Island, or hang back to relax all day in the spa. Delta Vacations gives you more ways to rack up miles, and earn toward your Medallion® Status. SkyMiles® Members earn up to 3,000 bonus miles per person, in addition to credited flight miles, with a flight and Gold, Silver or Bronze Preferred Pick hotel package. 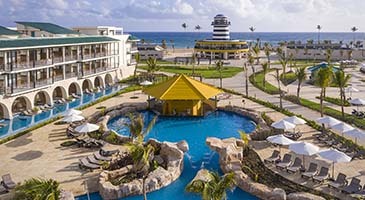 *Sample Pricing: This offer is available from hundreds of origin cities, but this price, which reflects the offer, is based on travel between Atlanta and Punta Cana, staying in a Islander Junior Suite Double room at the Hard Rock Hotel & Casino Punta Cana. Price is per person, based on double occupancy and select Monday departures and Thursday returns, May 27 – 30, 2019, and is subject to change. Additional restrictions and baggage charges may apply. See Terms and Conditions for details. Once a sleepy sugarcane town, La Romana is now a popular resort destination with soft, white-sand beaches, world-class golf courses and intimate, villas — perfect for a private escape off the beaten path. Enjoy some of the most celebrated golf courses, fabulous gourmet experiences and a private beach within the natural beauty of 7,000 acres on the island's Caribbean coast. This adults-only mega resort features deluxe suites with lavish views, dynamic restaurants with local and international dishes, an expansive spa with Vichy showers and hydrotherapy circuits, vibrant entertainment and a Las Vegas-styled promenade with Caribbean flair. A complex full of entertainment, this resort features fine dining, a grand casino, full-service spa, 11 outdoor swimming pools complete with swim-up bars and a lazy river. Enjoy entertainment, such as watersports and live shows. This expansive, oceanfront resort features a variety of restaurants and bars, multiple swimming pools, a children's water playground and a vast lineup of activities and watersports for the whole family. Kids can enjoy time in the Daisy Kid's Club or teen area, and adults can relax in the Despacio Spa Centre. 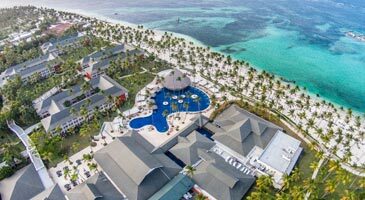 *Price is per person, based on double occupancy in a Islander Junior Suite Double room at Hard Rock Hotel & Casino Punta Cana, between Atlanta and Punta Cana. Monday departures and Thursday returns via nonstop service on Delta and certain Delta codeshare partners, and is valid for specific travel dates May 27 – 30, 2019. Advance purchase requirements vary. Other travel days and dates and accommodations are available at other prices. May require travel on specific flights or times; blackout dates may apply. 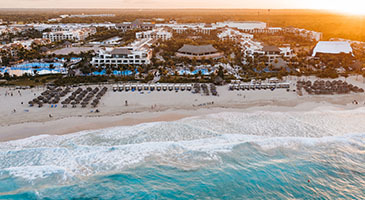 Purchase any Delta Vacations flight and hotel package from any Delta Vacations origin in the U.S. or Canada to the Dominican Republic, April 5 – May 10, 2019, for travel April 9 – October 31, 2019. The hotel discount is based on the standard room charges of each of the participating hotels in the Dominican Republic. 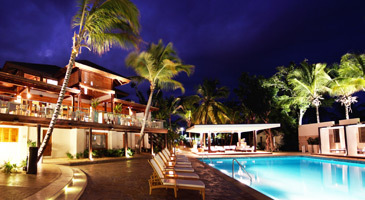 Participating hotels include: La Romana: Casa De Campo and Hilton La Romana, an All Inclusive Adults Resort. Punta Cana: Barceló Bavaro Beach, Barceló Bavaro Palace, Dreams Punta Cana Resort & Spa, Fantasia Bahia Principe Punta Cana, Hard Rock Hotel & Casino Punta Cana, Iberostar Bavaro, Iberostar Punta Cana, Occidental Caribe, Occidental Punta Cana, Ocean Blue and Sand, Ocean El Faro, Riu Palace Bavaro, Riu Palace Macao, Sanctuary Cap Cana, Secrets Cap Cana Resort & Spa and Zoëtry Agua Punta Cana. Offer only valid for European Plans. Book by May 10, 2019, for travel April 21 – October 31, 2019. To receive the highest discount of 48% off rooms, travel April 13 – 17, 2019. Book by May 10, 2019, for travel April 6 – October 31, 2019. Book an Islander Junior Suite room for the price of a Caribbean Suite room. 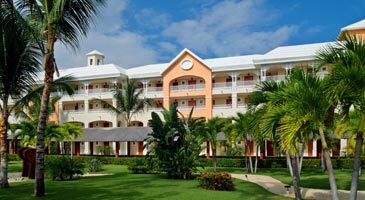 Book a Caribbean Sand Suite room for the price of an Islander Junior Suite room. Book by May 10, 2019, for travel April 9 – May 31, 2019. To receive the highest discount of 40% off rooms, travel April 1 – 13, 2019. Book by May 10, 2019, for travel April 9 – October 31, 2019. Discounts cannot be exchanged for cash. Unused discounts will not be refunded. Offer is subject to change. Book by May 31, 2019, for travel May 1 – November 30, 2019. To receive the highest discount of 55% off rooms, travel April 13 – 17, 2019. To receive the highest discount of 40% off rooms, travel May 1 – June 30 and August 18 – October 31, 2019. Book by May 10, 2019, for travel May 1 – October 31, 2019. To receive the highest discount of 43% off rooms, travel June 1 – 22 and August 18 – December 22, 2019. Book by May 7, 2019, for travel through December 22, 2020. To receive the highest discount of 40% off rooms, travel April 9 – 24, 2019. Book by May 10, 2019, for travel April 9 – August 21, 2019. To receive the highest discount of 54% off rooms, travel April 13 – 21, 2019. 3-night minimum stay required; 4-night minimum stay required through April 18 – 20, 2019. Offer is not combinable with other offers. Book by May 10, 2019, for travel April 9 – December 20, 2019. To receive the highest discount of 50% off rooms, travel April 9 – 20, 2019. Book a Superior room for the price of a Double Room. To receive the highest discount of 35% off rooms, travel June 1 – August 17, 2019. Offer only valid for the Superior Room category. Discounts cannot be exchanged for cash. Unused discounts will not be refunded. Offer is subject to change. Other restrictions may apply. To receive the highest discount of 48% off rooms, travel April 24 – 30, 2019. Book April 23 – May 10, 2019, for travel April 24 – December 23, 2019. Book by April 22, 2019, for travel April 9 – December 23, 2019. Book by May 7, 2019, for travel through December 20, 2019. To receive the highest discount of 72% off rooms, travel May 9 – 15 & 20 – 31, 2019. Book by April 15, 2019, for travel April 9 – December 22, 2019. To receive the highest discount of 50% off rooms, travel May 1 – 14 and May 19 – June 18, 2019. Offer only valid in the Junior Suite Oceanfront Deluxe room category. Book by April 30, 2019, for travel May 1 – August 17, 2019.